If you’ve already let go of your New Year’s resolutions, don’t fret. There are still things you can resolve to do this year. The theme for this year is learning to do things you’ve previously paid others to do. One of the most empowering things you can do is to learn how to do things yourself. It makes you feel more confident and strong, and that confidence spills over into the other areas of your life. 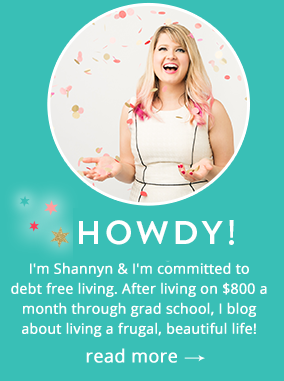 It’s not just about saving money, it’s about empowerment to feel that you can save money and lifehack your time and effort into a better life! Last year I learned how to sew. I’d grown with a slew of family members who could sew. My grandpa could alter his own pants and my mom made all the curtains in our house. My grandma even made me stuffed animals growing up, using leftover materials and squiggly eyes. After my grandpa passed away, my mom asked if I wanted his sewing machine. I knew he had used it well and I immediately signed up for classes. I learned how to make a pillowcase, zipper pouch and tote bag. Learning how to sew taught me to be deliberate, patient and focused. I loved picking out fabric and gushing over new designs. This year I’m going a step further. I’ve signed up for classes on hemming and alterations. As a petite girl, I often need to get my pants hemmed. Instead of paying $10-$12 per pair, I’m learning how to do my own for only $35 a class. Getting your clothes altered is one of the best ways to make them look better, but going to a tailor is pricey. This year, resolve to learn how to make your own minor clothing fixes. Even if you know how to cook, there’s always more skills you can learn. And the best part, there’s tons of free recipes and tutorials online. If you’ve got a huge sweet tooth, learn how to make your own fancy desserts. If you love curry, find some Indian recipes online. If you miss your mom’s home cooking, ask her for her recipes. Some of my favorite resources include the Pioneer Woman, Alton Brown and Reddit. The Pioneer Woman’s recipes are easy to follow – she’s the reason I started cooking more seriously in college. Alton Brown uses the best scientific methods to cook – my husband swears by his microwaved caramelised onions. And Reddit? Well they post tons of delicious pictures, usually with recipes included. I found my favorite brownie recipe on there. I count thrifting as a skill because I’m always amazed at the oh-so-fashionable girls I see who wear GoodWill gear like it’s couture. This year, resolve to buy most of your clothes secondhand. Thrifting is a great way to save money, have fun and find one-of-a-kind items. I’ve bought shirts from thrift stores that retail for more than 10 times what I paid for them. I’ve gotten designer jeans and purses for less than $50. Plus, many of these stores also stock household goods, books and movies. If you get good, you can resell your items online. Be careful though: there’s no guarantee you’ll earn a fair profit or recoup your expenses. It was only when I got to college that I realized how little I knew about basic household repairs. The older I’ve gotten, the more I’ve learned. And the more I realized I didn’t know. I like tackling basic repairs, but I often make a bigger mess. This year, resolve to do more things around the house. If you look online, you can find DIY guides easily. If you do need help, watch carefully. Use those opportunities as a time to learn. If you plan to be a homeowner one day, learning how to fix basic things will come in handy. How To Get Emotionally, & Personally More Healthy This Year. I used to love cooking and sewing and all sorts of crafting… then I started a blog. 🙂 Running a blog as a business and working full time has left me short on time so I pretty much cut out those other fun things. I think once I repay all of my student loans, I will be able to relax more and pick up more hobbies. Who doesn’t like a good cook?! 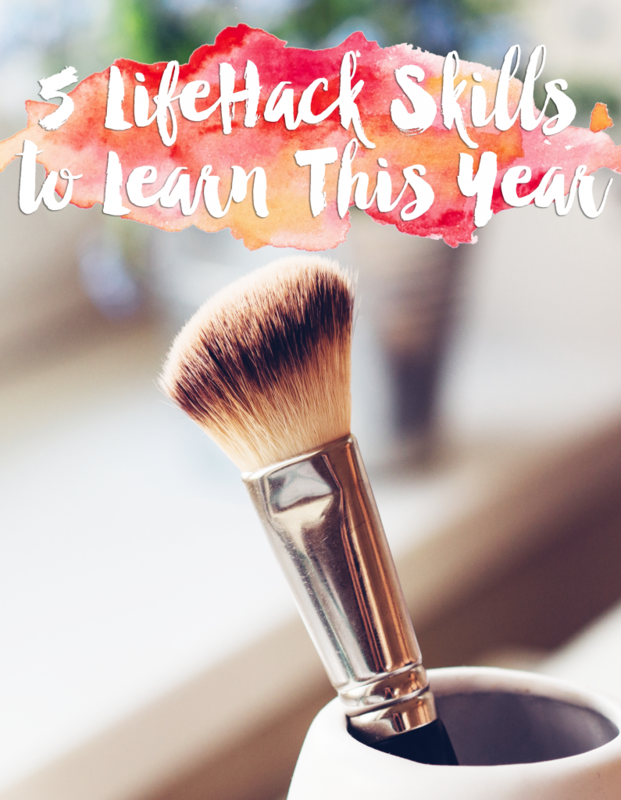 Your post title is ‘5 Skills to Learn this Year,’ but the actual post only lists four: sewing, cooking, thrifting, and handywork. Possibly number five is math? Sarcasm aside, I look back at this blog every once in a while to see if there are any interesting/useful posts and usually there are a couple, but this is the kind of thing a writer or editor should catch right off.